The future of the submarine could hardly be brighter. Advances in the design of nuclear reactors will probably reduce their size, and new weapons will increase their capabilities. 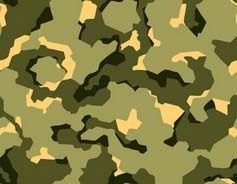 But their great potential is also stimulating research on counter-measures. By the end of the 1970s we might well see a breakthrough similar in its effect to Asdic, such as a device to enable submarines to be tracked from satellites. Until then the submarine will continue to be the deadly weapon she has become in the last 30 years. 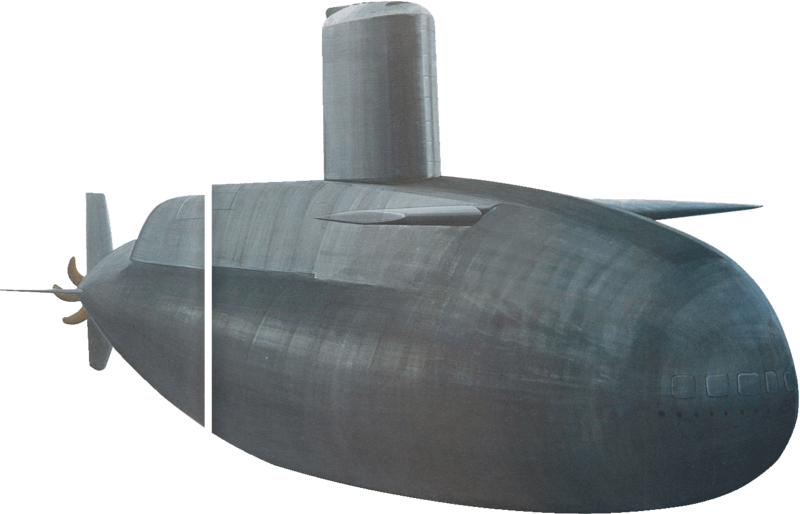 SUBMARINE WEAPONS & ANTI-SUBMARINE WEAPONS. THE ULTIMATE WARSHIP? At the start of the Second World War the submarine had only one primary weapon, the thermal torpedo, which was kept on course only by gyroscopic stabilisation. She also carried a deck gun of 3-in to 6-in calibre for use against "soft-skinned" targets such as merchant ships, but this was essentially an auxiliary weapon. 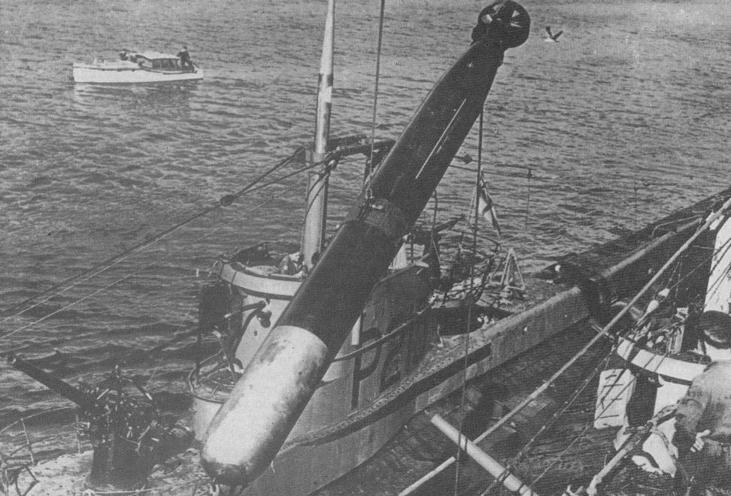 Gyro-angling enabled the torpedo to change its angle during the run, and thus made it easier for a submarine to reach a good attacking position. Magnetic influence pistols were being introduced to make a torpedo explode within lethal distance under a target, like a proximity fuse, but these proved unreliable when first used. During the war all operational submarines tended to have their anti-aircraft armament increased. This normally meant adding light automatic AA guns of 20-mm to 40-mm calibre on platforms on the conning tower, the most notable examples of this trend being the German U-Boats, which had a "winter garden" crammed with Flak pieces. The need to reduce drag for high underwater speed put an end to this, and both AA guns and the original deck gun became redundant. The greatest improvement in torpedo design was the provision of homing devices to enable the torpedo to "seek" its own target. The German acoustic torpedoes showed the way, and by 1945 there were several patterns under development in both the US Navy and the Royal Navy. After the war all navies developed similar weapons, but the limitations of acoustic homing (mainly the danger of a torpedo homing on its own submarine's noise) led to the development of wire guided torpedoes. Wire guidance is very much older than it sounds, for it was the method by which the first Whitehead torpedo was controlled. The Brennan and Nordenfelt torpedoes of the 1880s also relied on a trailing wire paid out from a spool, but today's torpedoes are considerably more complex. Basically, fine wire is paid out from a spool inside the torpedo body, and instructions are sent from the fire control system by impulse down the wire. Even with older patterns of torpedo it has been possible to substitute an umbilical link for the hand-cranked spindles which were formerly used to set the torpedoes before firing. American submarines have for some time been fitted with Subroc, an advanced weapon system which has no equivalent elsewhere. Briefly, Subroc is fired from a 21-in torpedo tube, and then a rocket motor is fired underwater to lift it clear of the surface and send it on a ballistic course; at the end of its trajectory it re-enters the water and acts as a depth-charge. The essential fire control data is provided by the Passive Underwater Firecontrol Feasibility System (PUFFS), which takes bearings from propeller noises. Aircraft, particularly the helicopter with its ability to hover overhead, remain the submarine's worst enemy. At first the only defense was the passive one of providing a sensor at the masthead to detect the noise of a helicopter's engine, but now Vickers Ltd have produced the Submarine Launched Airflight Missile (SLAM) to allow a submarine some means of retaliation. SLAM is an adaptation of the land-based Blowpipe missile, a light close-range ground-to-air weapon which can be fired from the shoulder. It comprises a compact launcher with six missiles, stowed in the fin but raised to fire, and controlled by television guidance from the submarine's control room. In recent trials in the old British submarine Aeneas, the system proved successful, and it could seriously reduce the effectiveness of antisubmarine helicopters.